Peru is the “gastronomic mecca” of the world. That, according to The Economist, a current affairs magazine that covers culture, politics and news. The prestigious periodical just wrote an in-depth piece about the somewhat recent Peruvian food debut onto the world-side stage. Perhaps it’s the eclectic blend of flavors from the sea, the sierra and the selva, or maybe it’s the fusion of multi-cultural flavors alongside native ingredients. 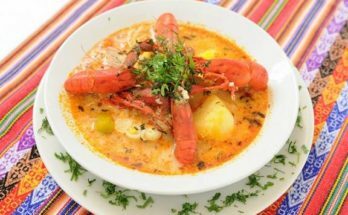 Whatever it is, Peru is in the spotlight and now its haute cuisine is even being exported abroad and served up eateries across the globe. 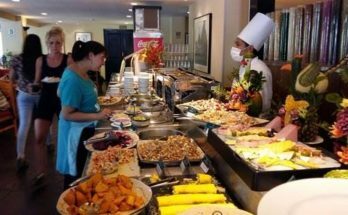 While traveling throughout each region (the coast, the mountains and the jungle) is the ideal way to taste each distinct dish, there may be a faster, easier way to savor the extensive menu. Until recently, Lima was just a layover city, a place for tourists to lie their heads before heading to Cusco and the Incan ruins of Machu Picchu. But now some 75,000 visitors stop in the capital city each year just to tickle their taste buds. If you plan on being among them, you are in store for a treat. 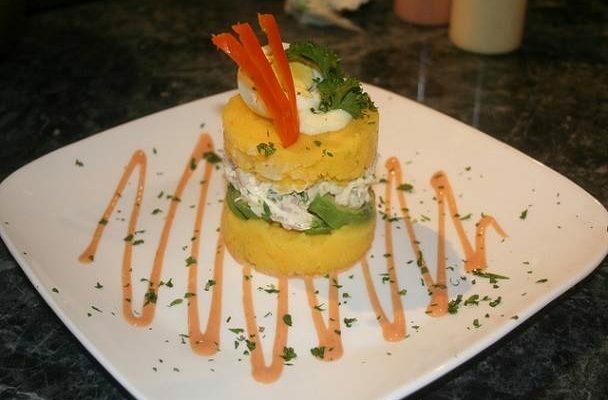 Coming from the Quechuan word ‘Kausaq’ meaning “that which gives life” is Causa, an appetizer comprised of mashed yellow potatoes layered with avocado, aji amarillo and shredded chicken or diced hard boiled eggs. Sometimes served as an appetizer, others as a main course, this seafood dish booms with flavor. The seafood (everything from fish to shimp to octopus) is marinated in citrus juice and spices and then nestled next to choclo, sweet potato and onion. Tacu tacu is thought to have been born a few hundred years ago when African slaves combined leftovers into a hearty and nutritious casserole. Nowadays, this Afro-Peruvian specialty is the “working man’s” go-to meal. It’s made up of beans and rice fried into a pancake-like base that is then topped with a thin slice of steak, a fried egg and plantains. Hearty and filling, rocoto relleno hails from the Andean city of Arequipa. Rocoto peppers are used in all facets of flavoring for Peruvian cooking, though in this dish, they are the main attraction. Each spicy pepper is baked to perfection with a filling of savory a ground beef and/or pork mixture that is blanketed with diced onions and potatoes, tomato sauce and spices and, of course, gooey, melty cheese. When homemade, it’s a good way to clear out the refrigerator, though most restaurants serve up a fail-safe recipe that was likely perfected decades ago by the chef’s grandmother. Made of quinoa or sweet potato (so they are totally healthy, right?) are picarones, a traditional dessert. The runny dough is poured into hot oil in the shape of lopsided rings and flash fried. The end result is a sweet, yet light donut that is swimming in syrup made of molasses, cinnamon and a touch of lime. Hand made dulche de leche is sandwiched between thin, crisp, buttery shortbread cookies in this traditional dessert with European roots. These cookies also travel well, making for great gifts for the folks back home. Forget a heavy breakfast; many Peruvians start their day with a bold cup of hot java, and it’s for good reason. Peruvian coffee is organically grown in a sustainable way right in the Andean cloud forest. Plus the cultivation and roasting techniques make for an unbeatable cup of coffee with a floral aroma and light-chocolate notes. Peru has an abundance of corn, so a lot of effort has been spent on how to get the most out of the plant. One way is to eat it; another is to drink it. 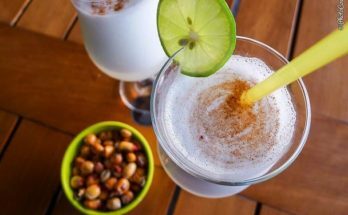 Prepared with purple corn, chicha moradais a sweet drink served cold and in a tall glass. While it is industrially prepared and served in bottles, the best way to get it is straight from the tap.